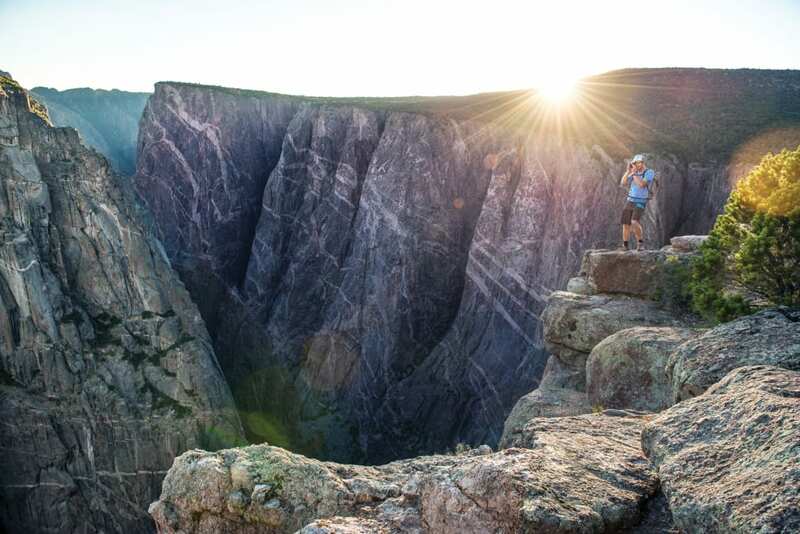 Arguably one of the most photogenic states in the USA, with sweeping mountain ranges, winding roads, picturesque lakes and more, the beauty of Colorado, the Centennial State, is incomparable. Here are some of the highlights of places to visit on your trip to Colorado as well as a bit of photographic inspiration. Located near the town of Clark in northern Colorado, Gilpin Lake is a picturesque spot surrounded by alpine mountains and pine trees. 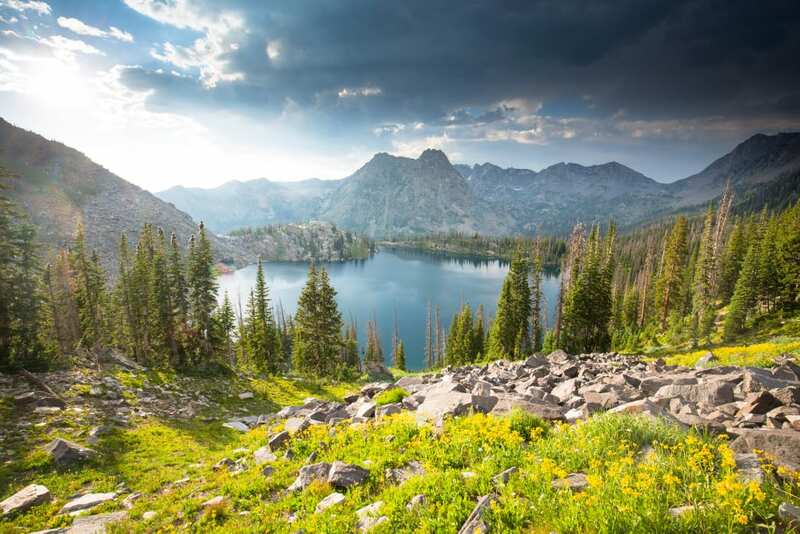 Accessible by a gentle hike through the Medicine Bow – Routt National Forest, which spreads across Colorado and Wyoming, those who reach the lake are rewarded with vivid blue water and an abundance of nature. Did you know that Colorado is known as the Centennial State? Founded in 1876, this is 100 years after the Declaration of Independence? More than just a ski resort, Breckenridge is a quaint town where travellers will find neat rows of houses, towering mountains and sweeping green meadows. During the colder months, Breckenridge is one of the most popular places for skiers and snowboarders, with five snowy peaks to explore. But come the warmer months, the snow melts to reveal hiking trails and picnic spots, which are perfect for gazing at the virtually guaranteed sunsets. 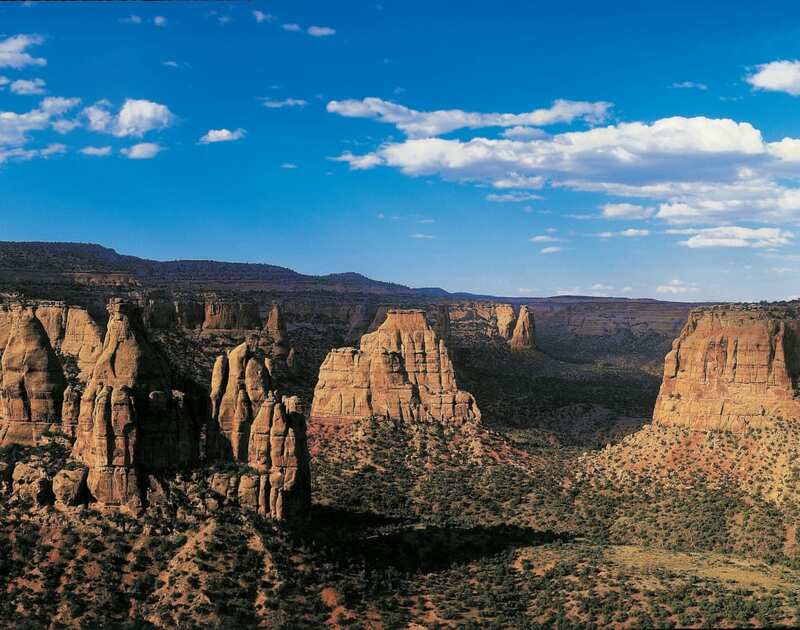 The Colorado National Monument, near Grand Junction, is a spectacular canyon with deep drops, sandstone towers, narrow tunnels and hours of hiking opportunities. Covering 31 square miles of ground, the vast landscape stretches into the distance, with rock formations dating back as far as 1.5 billion years. Eagle-eyed visitors may also spot coyotes and mountain lions. Nicknamed the Wildflower Capital of Colorado, Crested Butte during summer is transformed with bright and colourful flowers that just beg to be photographed. Every July, visitors can attend the Crested Butte Wildflower Festival, which showcases a variety of blooms through guided hikes, art workshops and photography classes. Colorado’s state capital, Denver, is a modern metropolis, offering a range of restaurants, diverse shopping, a year-round events calendar and thriving arts scene. 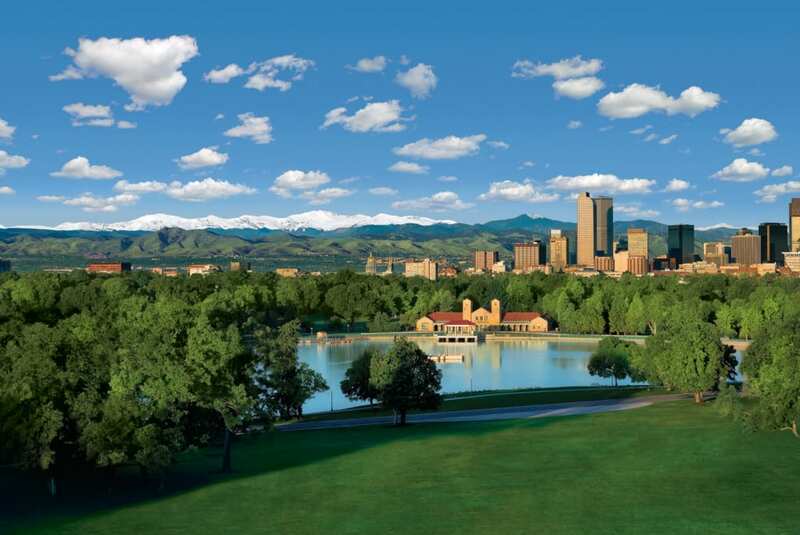 Visitors who head to City Park can see unparalleled views of the city’s skyline, framed by the Rocky Mountain Front Range. The park is also home to the Denver Zoo and Denver Museum of Nature and Science. For more ideas on things to do and where to stay in the Centennial State, read Colorado Holidays: Top Quirky Spots. One of Colorado’s four spectacular national parks, Black Canyon (see cover) of the Gunnison, is recognisable for its dramatic cliff faces that are etched with scratches and carvings as a result of nearly two billion years of exposure to the elements. The park is unlike anywhere else in the state and is a top spot for budding landscape photographers looking to hone their skills. If you are looking for accommodation in the Centennial State, please try our Hotel Booking Portal. It will cost you nothing extra, but the small commission we make helps with the cost of up-keeping this website. Can be viewed at: www.colorado.com.